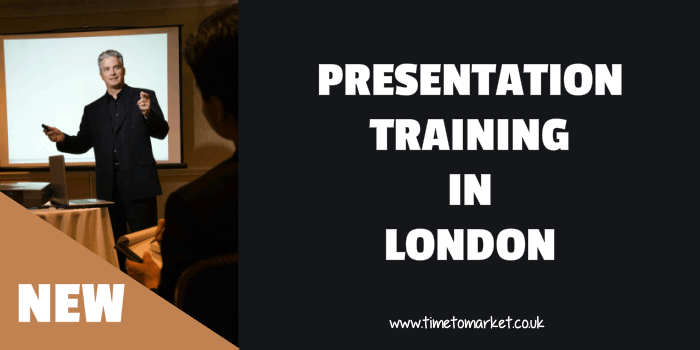 Presentation training course provider Time to Market has announced the availability of a new training centre for presentation training in London. Combining state of the art training facilities in a business environment the centre will support training customers wanting presentation training in an off-site location. The centre is conveniently located in a central city location. You can get there easily by road and public transport. And, since it’s only minutes away from London Liverpool Street tube and rail stations you can safely choose the training venue for your business training needs. How hesitant or nervous are you when you have to give a presentation? When you present, you want to give a polished performance. Because you want to exude confidence. And, above all, you want to make a lasting impression. To find out how you can make a lasting impression and benefit from presentation skills training you can call 01344 859823 or email training@timetomarket.co.uk. 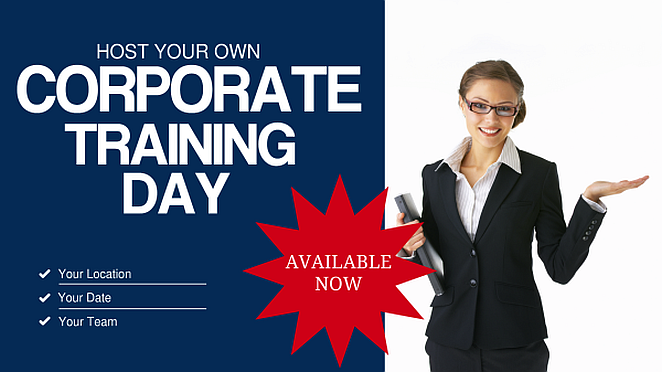 You can train to be a confident presenter with presentation training in London. And because we offer a range of presentation courses, there’s always something available for all abilities. You can train to be a confident presenter in London, so you won’t need to travel far. Presentation training in London includes full refreshments and lunch during the day’s session, expert help and advice and all the training materials you need. So, to find out how you can become a confident presenter and improve your presentation skills in London, please don’t hesitate to call or email training@timetomarket.co.uk. Based in Oxford and operational since 2001, Time to Market is expert in providing presentation techniques and training. We run off-site seminars and presentation courses throughout the United Kingdom. Plus, we provide presentation tips and techniques with our regular newsletters.